It is time again! This is the time of year when we all think about what we are thankful for! The theme for this challenge is just that GIVE THANKS/THANK YOU and/or INSPIRE US! If you use Inspire us don't for get to share who or what inspires you. I decided to do Thank You and used a wonderful set from The Cutting Cafe, who is also our sponsor this week. I can't say this enough, if you have not been to The Cutting Cafe you must visit! 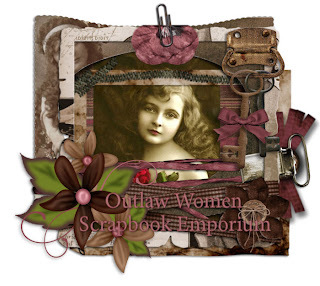 There is very wide variety of very creative and beautiful digi stamps! The winner of this challenge will also receive three sets of their choice! This is an amazing prize! The set I used is called With Graduated and you can see the complete set here. I love these little Thank you cards and wouldn't this make a perfect gift for someone? 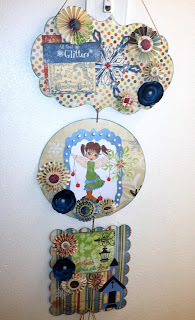 Please remember to visit the Craft Us Crazy blog to check out all the other great DT creations and to enter your own! 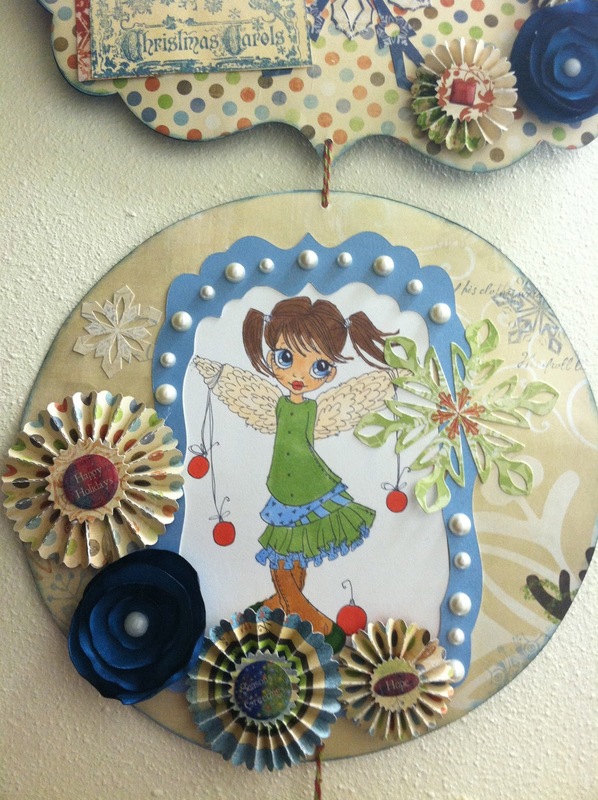 The theme for this challenge is use your FAVORITE COLOR and/or HOLIDAY THEME! 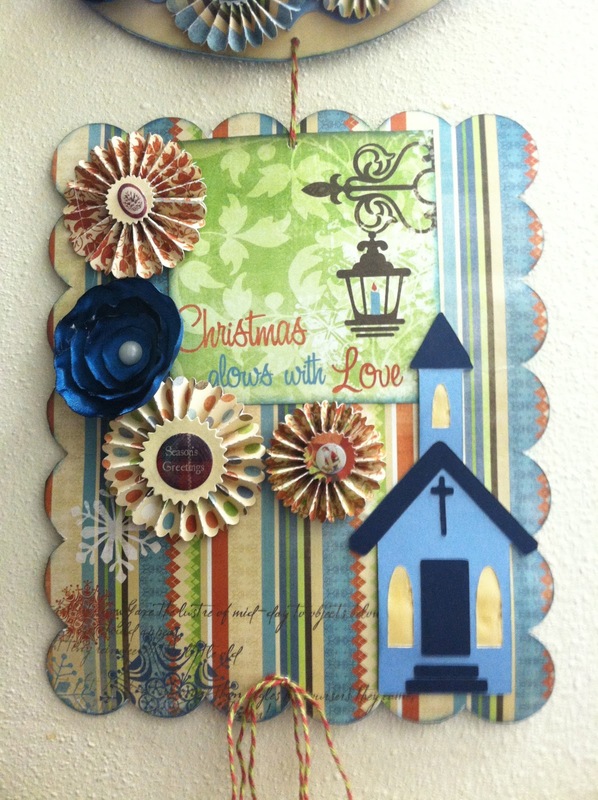 With the holidays getting closer and closer I have started working on Christmas items. I have so many projects planned this year I was excited that this challenge would really get the ball rolling for me! Please visit the CRAFT US CRAZY blog to enter this challenge. You will also find all the amazing creations form the DT there! Below are the amazing sponsors we have for this challenge. Ok now for my creation! This was actually a very simple project or so I thought. Once I started working on it there were just so many options it became over complicated for me. I wanted to make a Christmas/Winter banner but not the traditional mantel banner. So here is what I came up with it. I hope you like it. I used the Cricut to cut the shapes and used the Bo Bunny Blitzen paper for this project. 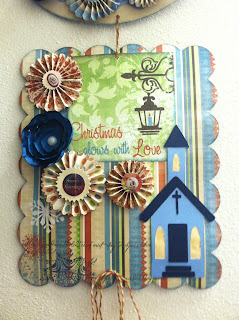 The rosettes are all from the Tim Holtz die and the beautiful angel in the center is from Saturated Canary!